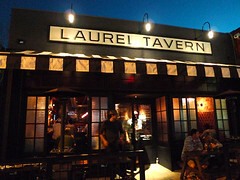 On those rare occasions when Peter and I don’t have dinner plans, we sometimes head up to Laurel Tavern, our favorite pub on Ventura Blvd. 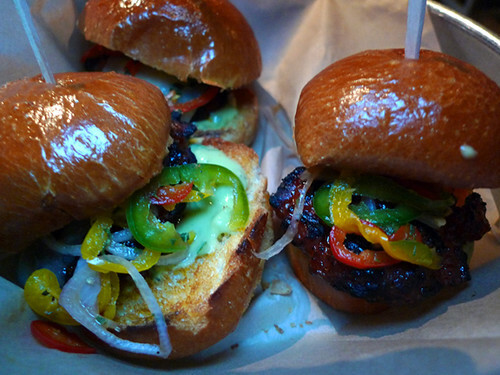 It’s just a few minutes from our house, and even though they’re known for a terrific selection of beers, we actually go for the food. After we hustle a couple of seats (it’s a popular joint), we check out the chalkboard on the wall for specials. Then we hunker down with cocktails and share a few plates of WAY above average pub grub. Cool! A new place in the Valley to try. 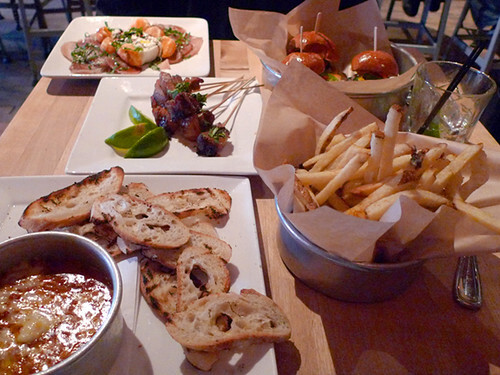 Looks really good especially those fries cooked in pork fat. I’m so there! Don’t forget the grilled cheese…best I have ever had anywhere… its on hazelnut bread with carmelized onions and gruyere. HEAVENLY!! !